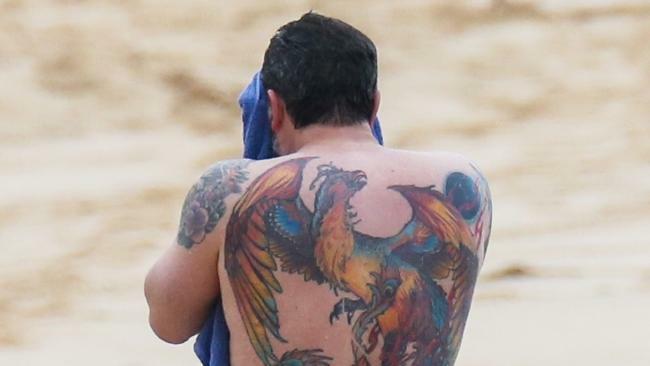 BEN Affleck's giant, colourful back tattoo - the one he two years ago insisted was a fake he was wearing for a movie role - is back again. Affleck showed off the (apparently real?) body art once more while on the beach in Honolulu, Hawaii over the weekend. 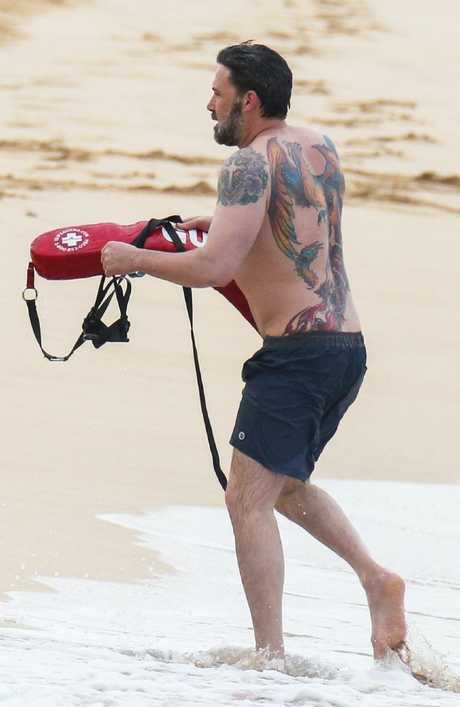 Affleck, reportedly in training for his upcoming Netflix film Triple Frontier, was seen getting out of the ocean with lifeguard equipment and sporting three colourful tattoos: one on each shoulder, and a giant Phoenix on his back. 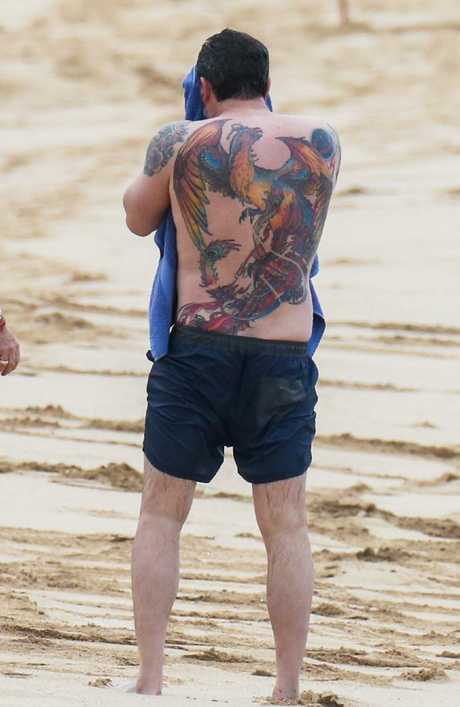 Affleck previously claimed the tattoo was a fake for a movie - however, that was two years ago. His insistence the tatt wasn't real came after widespread online criticism of the garishly coloured, full-back tatt - including from his famous ex Jennifer Lopez. "It's awful! What are you doing?" Lopez said of the tattoo when she appeared on Watch What Happens Live! in March 2016. "I mean, I would tell him that. I would tell him, 'What are you doing?' It has too many colours. His tattoos always have too many colours. They shouldn't be so colourful. You know what I mean?" Affleck's ex-wife Jennifer Garner also spoke out about the intense body art. "You know what we would say in my hometown about that? 'Bless his heart'," Garner said in a 2016 Vanity Fair interview. However, she insisted she hopes the phoenix is not referring to their former relationship, adding: "A phoenix rising from the ashes. Am I the ashes in this scenario? I take umbrage. I refuse to be the ashes." 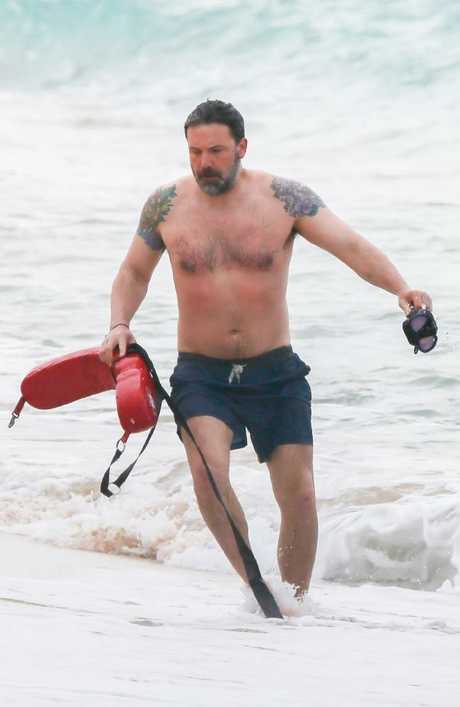 As well as the phoenix body art, father-of-three Affleck also has a dolphin inking on his hip, barbed wire across his right upper arm, an odd design of a fish with a skull and crossbones on his right arm and several initials on his shoulder blade.